I got a shoutout from Science Friday on Twitter the other day! 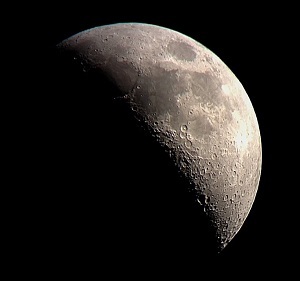 There is some buzz about International Observe the Moon Night (tonight, September 19, 2015), and Science Friday was looking back at their content from a segment I did on the air. I still remember that day, what a fun opportunity. I replied with this photo (below) and a link to my article about taking even better moon photos with an iPhone by using video mode. I made the photo just for Twitter and it got quite a few retweets so I thought I'd also post it here. I didn't realize until just now, but I've actually done some observing / photography on International Observe the Moon Night every time for the past 3 years - and usually just as a coincidence. Here are my posts from 2012, 2013, and 2014. Who knew I was being so inadvertently consistent! 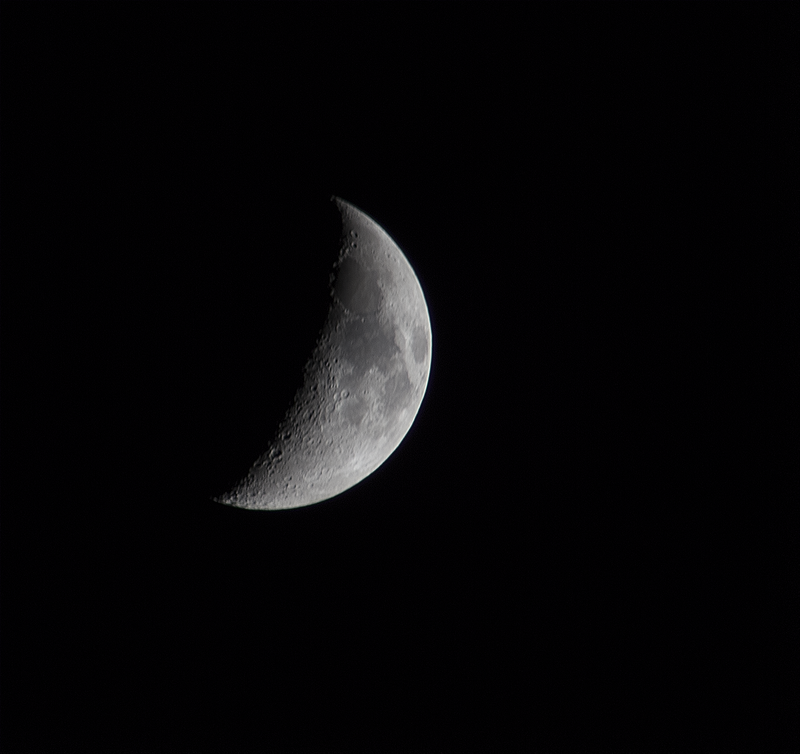 For posterity, here is my moon photo from tonight, a combination of 20 frames each at f/8, 1/60 sec, ISO 100, 300mm. It's a little rushed, I'm not sure if that's why it's a little fuzzy or if it was the atmosphere. Blame it on the atmosphere!